Nursery DIY: Adorable Animal Storage — ecobabe. Baby stuff is tiny! So, why not stay organized with these adorable mason jars?!! You can customize them any which way you'd like: ANY color, ANY animal (or insect) for the lid! 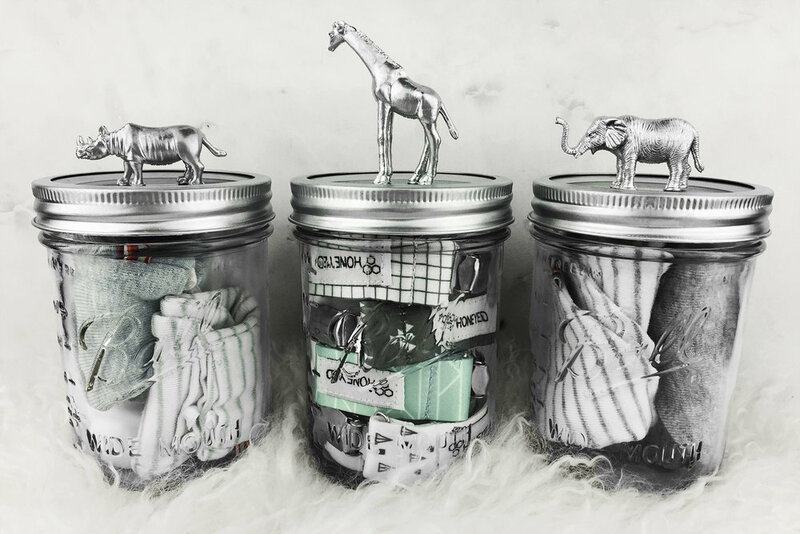 These jars also make the sweetest gifts. And they'll even look super chic on that gold and white desk of yours (think unicorns and metallic). Magnetic Lashes, No More Glue!